Labrador Retriever Rescue Australia was established in 2018. We are based in Queensland, New South Wales and Victoria. LRRA is run by a passionate group of volunteers committed to rescuing, rehabilitating and rehoming Labradors & Retrievers to the very best homes/families we can possibly find. We need your urgent help tonight for poor Jack… Jack came into care with his 2 sisters. He was very overweight, tired all the time and in a lot of pain. Our vets believe he had cruciate ligament damage caused many years ago and unfortunately was never given appropriate treatment. It’s a real shame for poor jack as he is in great pain. Jack recently had x-rays and now he requires specialist care and TPLO surgery to give him a life which is pain free. Surgery and recovery will be extensive for Jack, but much required to assure him a wonderful rest of her life. We need to help Jack get the surgery he requires immediately. Jack still has a lot of life left in him and we need to make his life as best for him as possible. So tonight, I’m asking you all to chip in. We need to raise $4,500 (gulp) for this surgery. It would mean the word to us and Jack if we could make this happen for poor Jack. Just $5 from each and every one of you is all we need. $5 is the cost of a chocolate bar from a petrol station but one that will give him a better life to come. 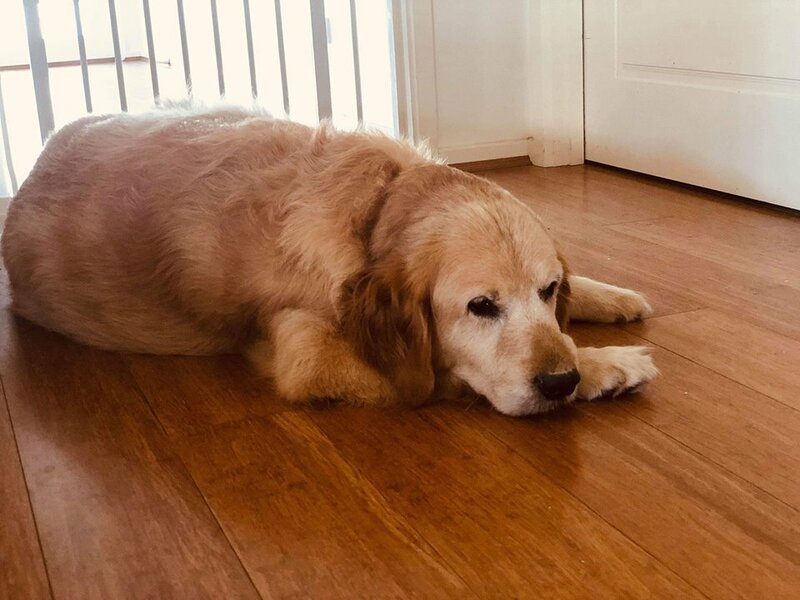 I have a retriever, hope this little guys ok.
Much love to you Jack.